Cute and fun apron pattern make cooking and baking even more fun! Try these exciting apron patterns you can easily make! The cutest apron patterns are the best inspiration to experiment in the kitchen. Whether you like sewing aprons for yourself or as gifts to your friends and family, aprons are one of the most functional things to make. We’ve rounded up apron pattern ideas you’ll love to make and everyone will love to wear. Learn more by reading our list. Aprons are not just for the grown-ups. Imagine all the fun you can share with your little ones with their own playful aprons! 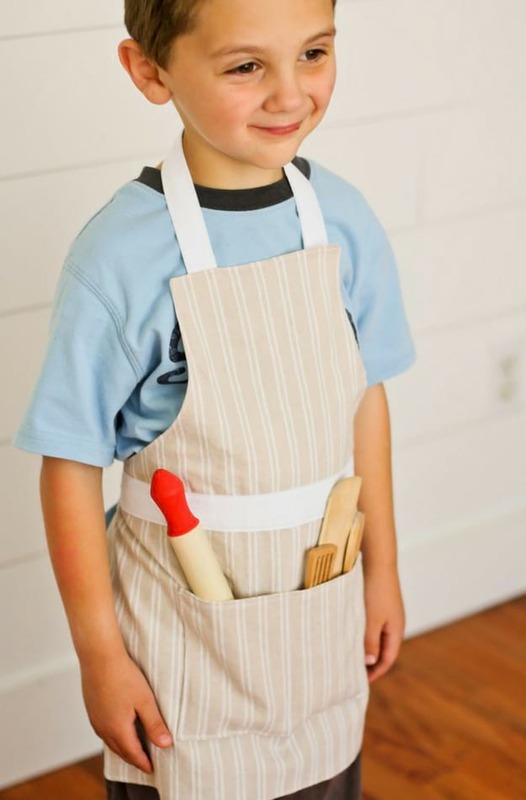 This list of kids apron from MakeIt-LoveIt features six kinds of apron patterns your kids will definitely love. If you have a lot more time on your hands, why not try crocheting an apron? It’s not difficult at all! This playful daisy apron which originally featured in Yarnspiration and The Crochet Space is something you can start with! Have fun recreating this “sew” cute apron idea from Tiarabcrafts! Imagine Disney emojis in a layered-style apron–anyone will love to have this adorable DIY apron. 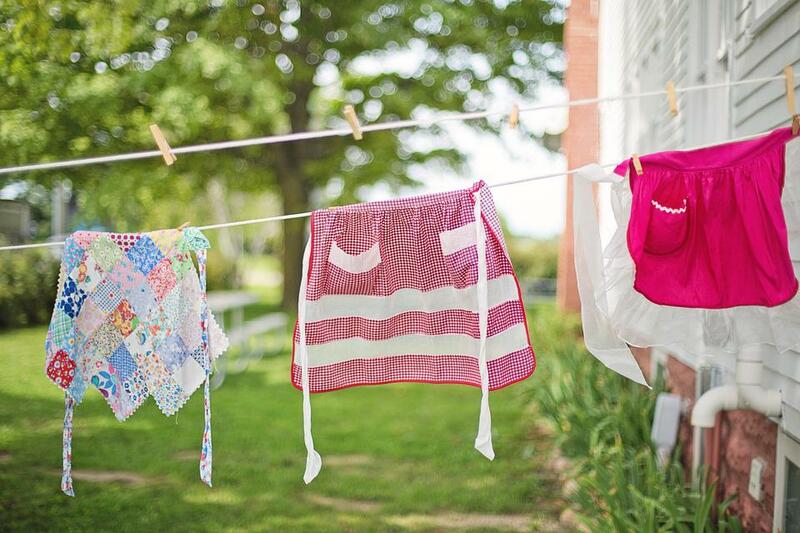 Match and repurpose your unused fabrics with this cute apron pattern idea. You’ll definitely fall in love with this beautiful pumps-and-pearls apron from Delia Creates. Be extra playful in the kitchen with this wave-inspired café apron. This sewing idea from I Always Pick the Thimble uses French seams to connect various fabric scraps to get that wavy aesthetic. You too can recreate this sewing project and be fab in the kitchen with this apron! Nothing beats the classic full apron look. With its bodice and full half-skirt, this apron pattern will keep you clean while you cook the freshest and most delicious food in your kitchen. Make this timeless apron pattern with this tutorial from Sugarbee Crafts. Look extra cozy in the kitchen with this quilted apron! This genius idea from Moda Bakeshop requires some quilting skills that is not too challenging. Follow their instructions to recreate this cute apron pattern. Be extra cute while whipping up your signature dishes with this gingham creation! Follow this step-by-step guide from The DIY Mommy to learn more. Look sizzlin’ in the kitchen with this flirty apron pattern! Recreate this number by following this tutorial from The Dating Divas. Inspire your kids to start learning the ins and outs of the kitchen with this cute cupcake ruffled apron pattern! Get the step-by-step guide from PA Country Crafts. Whip up cute cupcakes perfect for tea time with the little ones in these charming aprons! This tea and crumpets apron idea from All Things Belle is one of the cutest ideas you can work on. Toiling away in the kitchen doesn’t mean you can’t look every bit fashionable. Don this stylish apron from Scarves and keep being the queen that you are. You don’t need to have complex sewing skills to recreate this classic hostess apron from Style Me Pretty. Grab your essential sewing materials and start sewing! Give a nod to vintage tablecloths with this cute apron pattern idea. With cute vintage-style fabric, you can easily recreate this pattern with this tutorial from My So-Called Crafty Life. Wearing a cute ruffled apron will definitely perk you up when you need it most in the kitchen. Make these easy sewing pattern pieces from scratch with help from The Crafty Blog Stalker. Channel your inner Anne of the Green Gables with this cute apron idea! 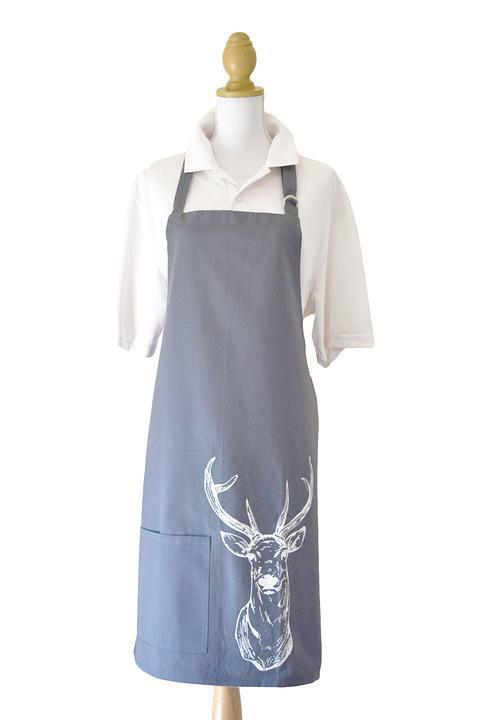 Pinafore aprons look every bit country and cute, perfect for your domestic goddess look. Check out this tutorial from Unsung Sewing Patterns. Find more use for your old denim pants! You can convert them into a pair of cute denim shorts or whip them up into this chic apron, as shown over at Instructables. Follow the link for the complete tutorial. Feel like a bustlin’ barista with this gender-neutral adult apron pattern idea. This DIY café apron with a pocket will look sharp on anyone – your hubby included! Check out the tutorial from Kate’s Creative Space. It’s time to bring out the funkiest pattern fabric you have in store! This patterned fabric DIY apron free pattern idea from Craftiness is Not Optional will make great use of your treasured fabric really well! Whip up the sweetest and most sumptuous pies like a 50’s diner girl with this retro apron pattern! Get the instruction in creating your vintage apron patterns from Flamingo Toes to learn more. Bet you’ve seen at least a dozen apron pattern ideas perfect for you and your personality! Browsing through this list just makes me excited to bust out my sewing machine and get started on these sewing projects! Once you’ve finished yours, we know you’ll be cooking up a storm in your kitchen in the cutest apron from this list. Want to make other easy sewing projects? Which ones were your favorite apron ideas? Let us know in the comments below! UP NEXT: 20 Easy DIY Sewing Projects You Can Make in Less Than 5 Minutes! Editor’s Note – This post was originally posted on June 2017 and has since been updated for quality and relevancy. I really love the apron patterns, so cute and look really simple to make, are there patterns I could order? I am excited! Always looking for new ideas to show and teach my students!!!?? ?